As you can see in the screenshot, AppCode thinks test_op_new_noun() isn't used, even though it's used only a few lines below. fwiw, From the usage, following to declaration works. Help? I'm fairly new to both C code and AppCode, so I could be missing something really basic here. I wonder if this is related to the way the files are all greyed out..
Basically I created a new empty project, then pulled all the xcode files out so I could do a git clone of the actual existing project, then moved the xcode files back in. I've also noticed that the context menu on the files (Right click, New -> File ) doesn't seem to do anything- I expect a popup asking for filename or something but it does nothing. 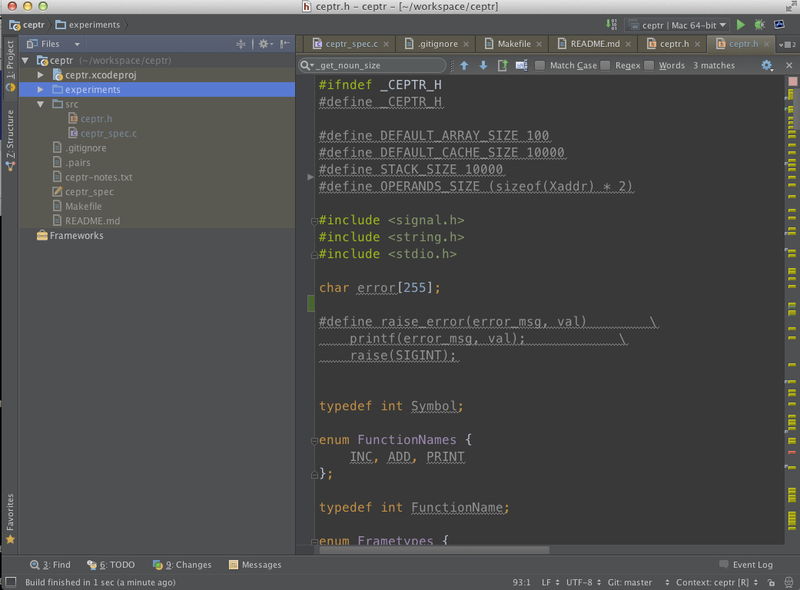 Am I trying to do somethign AppCode just doesn't do, using it for a C project? I think your source files are not actually part of your project and build target. Select the grayed-out source files in the project view and right click on them. Choose the menu option 'Add to Xcode project...' to add them to your project and (main) target. I agree with your diagnosis. Unfortunaly Add to Xcode project seems to do nothing. Is there somewhere else I can more manually update the list of project files or the main target? Lewis, please try to execute "find usages" on the greyed method. Does it find anything? Also could you reduce your file to something you can share with us?